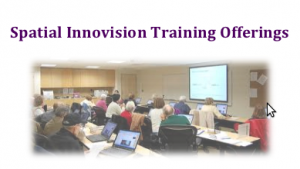 Training | Spatial Innovision Ltd.
Spatial Innovision offers instructor-led and self-paced training courses in Jamaica, Trinidad & Tobago and Saint Lucia. The courses offered teach GIS and GPS technology skills and the best practices to accomplish intended task on the desktop, server, and mobile applications. The range of training options are designed to fit a variety of budgets and learning styles. Our training ensures that your staff is learning the most current with GIS and GPS technology, trends and industry best practices. Equiped staff with the necessary knowledge to successfully implement and utilize GIS and GPS to help your organization achieve its business objectives. Our courses are conducted by ESRI and Trimble certified trainers in a classroom style setting and certificates are issued after successful completion. Hands-on practice using associated software and hardware products. Certified trainer guidance on the best practices and recommended workflows. Peer-to-peer learning encourages class activities and discussions. Instructor available for questions, one-on-one discussion, questions and guidance throughout class. 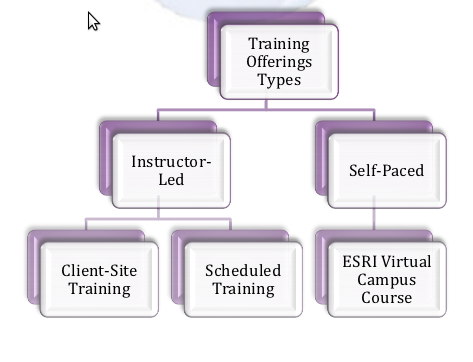 Self-Paced course is available through Esri Virtual Campus Courses offering the flexibility in their training and location. 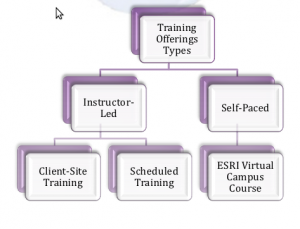 Esri Virtual Campus courses for one year at a fixed price. VC AUL provides substantial discount. Conveniently available 24/7 with anywhere access. Control over your learning whether for a few minutes or several hours. Extensive variety of topics covering GIS technology, concepts, and applications. Low cost options that offer excellent value for organizations with lean training budgets.